Like most aspects of dental care, there is no one-size-fits-all approach to selecting a mouthwash. 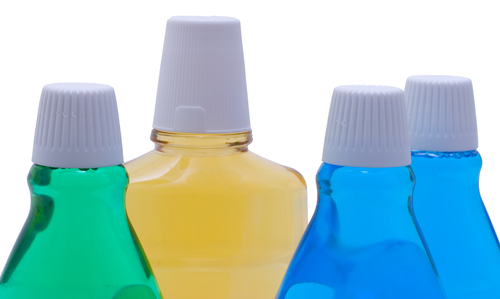 There are different types of mouthwash that are appropriate for different needs. But what options are available? What makes them so different? And more importantly, which one is right for you? Let my dental office in Nottingham help. Have you been told that your teeth don’t get enough fluoride? Then a fluoride mouthwash may be something to consider. Fluoride mouthwash contains, you guessed it, sodium fluoride. Sodium fluoride is used by dentists to help build up and strengthen teeth as well as protect enamel from decay. Many people already get enough fluoride through their water, toothpaste, or at dental appointments, so a fluoride mouthwash isn’t right for just anyone. Talk with your dentist in Nottingham to see if it may be appropriate for you. If you’re looking for guidance on selecting the right mouthwash for your specific dental needs, give my Nottingham dental office a call. We’ll be happy to talk with you about your concerns and suggest the most appropriate mouthwash for you. Accepting patients from Nottingham, Bel Air, Perry Hall, White Marsh.